click photo to enlarge We have driven through Shoshone a few times on our way into Death Valley but never had time to stop. 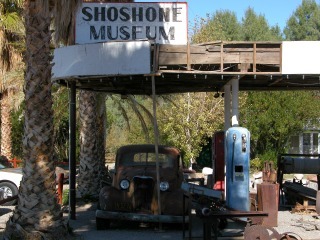 The museum, while small had a lot of history of the area and was a good source of information. 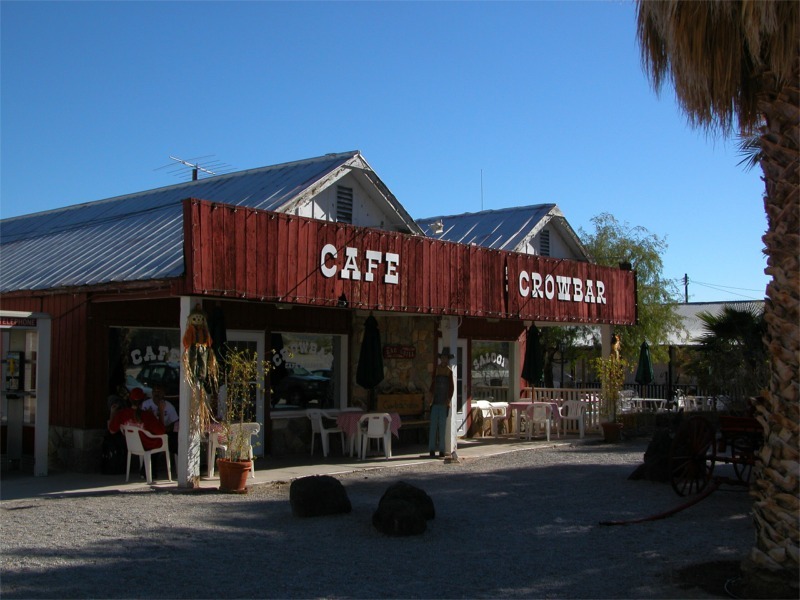 click photo to enlarge The Cafe Crowbar is next door to the museum. This was another of those pleasant surprises you get in some small towns. 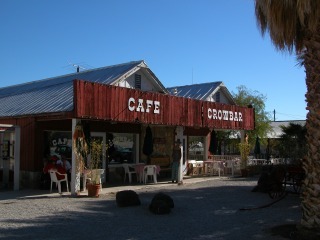 The food was very good and well worth stopping for. 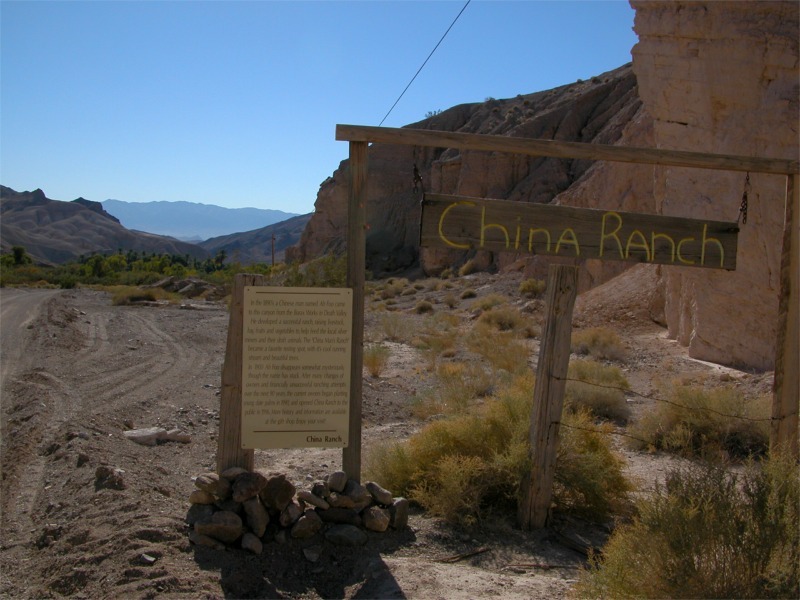 click photo to enlarge While in the area we stopped at the China Ranch Date Farm. Another must see in the area. If for nothing else the drive down the canyon into the ranch is spectacular. When you get to the main store ask to see pictures of the road in the rain. They sell many date related products and food. The date bread is wonderful. If you have never had a date shake you must indulge yourself. click photo to enlarge As the dates get larger they dress them to protect them from birds. 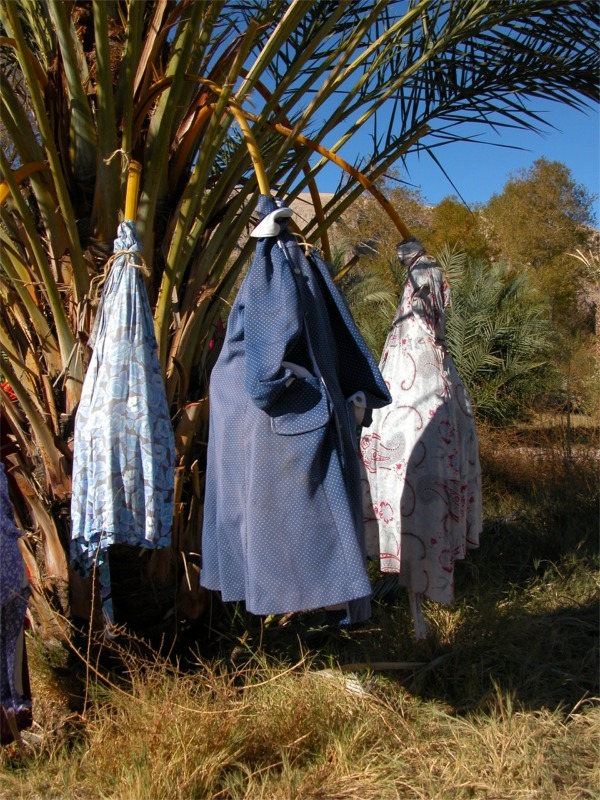 It was very odd to be wandering though the date trees and see clothes hanging on the trees. 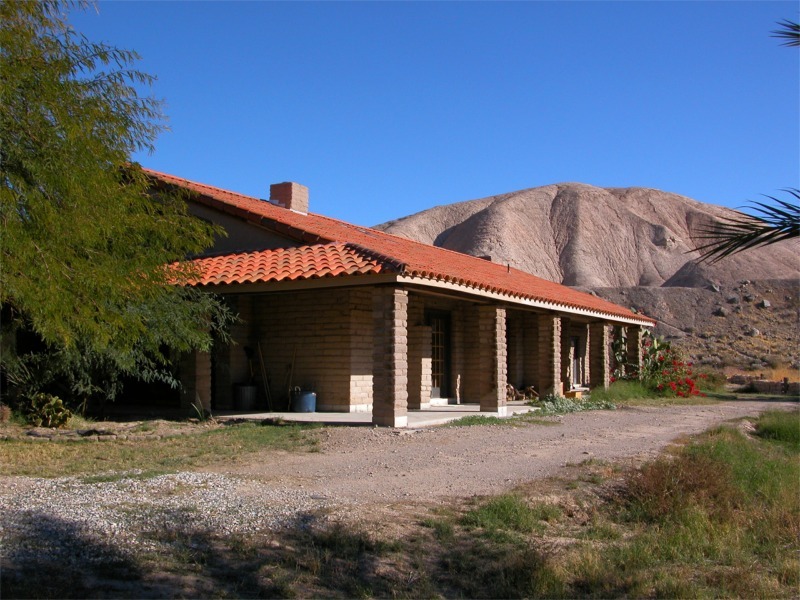 Be sure to read the information on dates at the China Ranch web site. 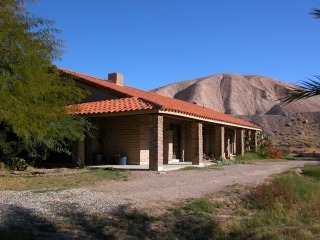 click photo to enlarge While hiking at the ranch we came across this adobe house in a beautiful setting.